We received an email about the presence of hundreds of maggot-like insects in a garage, in the Springfield Road area (near Columbia), 2 August 2018. It appears there had been a migration the night before, from outside, and that there were many hundreds of larvae inside the garage. Service tech Jason Price responded, and brought back samples. They were tenebrionid larvae, often called mealworms, and are the immature stage of darkling ground beetles. I returned with Jason, to examine the situation myself. This is the residence of Dr. Doug and Sheri Fleming. The exterior was very well maintained. A field, out beyond the driveway, was closely mowed, bone-dry, and did not appear to present much of an environment for them. 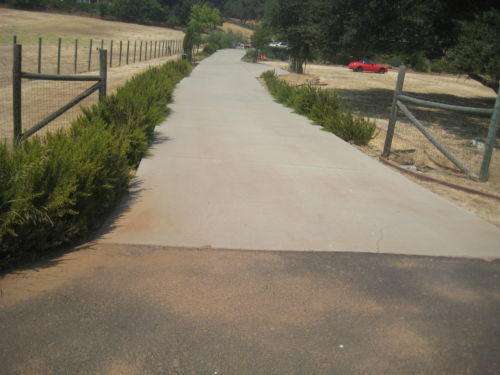 The ornamentals along the driveway consisted of small olive trees and rosemary. A cardboard mulch was used extensively, under the bark. I found a couple of dead, adult tenebrionids in that area, matching what we’d seen a few years before, in Calaveras County. It appears that the beetles and larvae were feeding and breeding in this strip along the driveway, maybe under the cardboard. It was, indeed, the same species that had an outbreak in Calaveras County in August 2015. 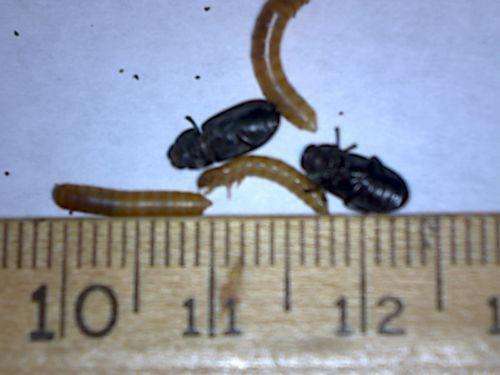 This was the first we’d seen of this odd-ball mealworm invasion in Tuolumne County. Mealworms, as a pest, is not something we experience. I sent the photos to Dr. Rolf L. Aalbu, of the California Academy of Sciences, a top expert on the tenebrionids of California, (he co-authored the paper), who identified the beetle as Opatroides punctulatus, a relatively new invasive pest. Dr. Aalbu was also a co-author of the 2009 paper first describing this species in California. That paper gave the discovery and first identification of Opatroides punctulatus in North America, from specimens collected on December 16, 2007, in Sacramento. The area of discovery was near the Sacramento deep water channel, and it is believed that the beetle was introduced to North America, in Sacramento, by way of cargo ships. In 2008, further search showed that the beetle was present in four counties. This inspired the researchers to re-examine their collections, in which they discovered a specimen collected near the same area, in 2003. The beetle is common in Europe, Russia, and the general Middle East region. I soon was in communication with Dr. Warren E. Steiner, of the Smithsonian Institution, another co-author of the ‘discovery’ paper. 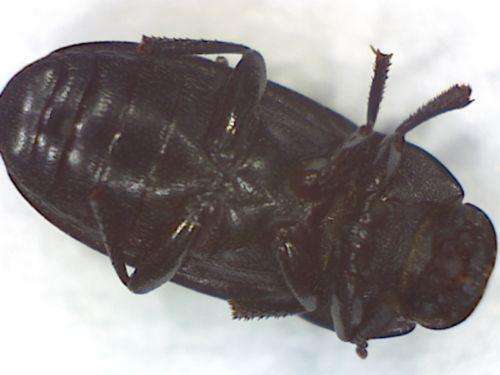 Dr. Steiner provided a more recent, 2015, paper, “New Records of Three Non-Native Darkling Beetles (Coleoptera:Tenebrionidae) Established in California and Nevada, USA” coauthored with Dr. Jil Swearingen. 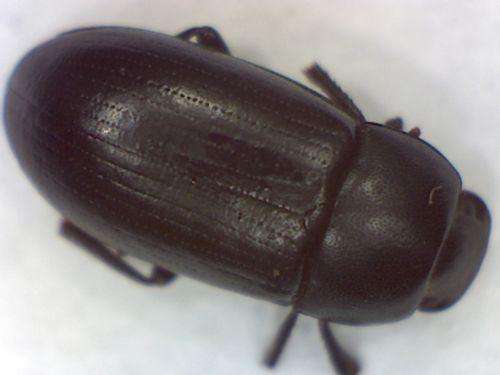 On December 26, 2007, photos of this beetle were uploaded to BugGuide.net for ID. The ID was made by Dr. Kojun Kanda, another of the authors of the ‘discovery paper’. The specimens came from Cool, in El Dorado County. So the beetles had spread out quickly from Sacramento. We have established now that the beetle can be a household nuisance pest, given the number of cases we have seen in both counties. At the Fleming’s home, Sheri tells us that the larvae are attracted to light. She reports: “Last night we kept the lights off, but I walked the driveway with a flashlight after 9 pm and discovered they are migrating from the entire length of the driveway on both sides and coming up from the cardboard/mulch. They are active at night – but Doug went out pre-dawn and there was no activity. 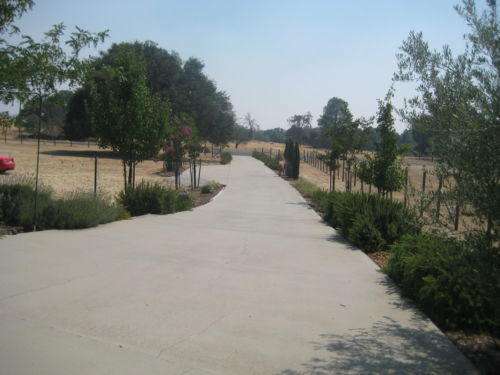 Incidentally, it is a very long driveway. So the migrating population is in the many thousands. She also said: “They migrate to cracks and under objects.” The best guess is that the larvae are searching for a better place to pupate. For thoroughness, here is the Conclusion from the 2009 paper, Opatroides punctulatus Brulle´ now established in California by Rolf L. Aalbu, Kojun Kanda, and Warren E. Steiner. Being that there is no common name for Opatroides punctulatus, and it is becoming a widespread pest species, we need a name. The Eurasian mealworm tells us it is an introduced pest, and what nearly everyone will notice first are the larvae, which look like mealworms. So we have it: the Eurasian mealworm. 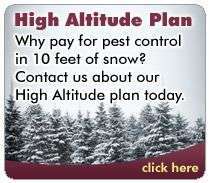 There is a new pest in both Calaveras and Tuolumne Counties. They are presenting issues as a nuisance pest, often in large numbers, invading homes and garages, as they also did in Mountain Ranch and Valley Springs. This beetle is the second new invasive pest we have seen this year, 2018. We previously reported on the snail-case bagworm. The research papers are added at the bottom of this post. 1. how many were under a sofa being stored inside the garage. I want to make it clear that the beetle larvae were under almost everything in the garage. 2. Next is a compilation of night videos, taken 5 August 2018, at the Fleming residence, and then in other areas of Springfield Estates. We see in the night video, that both adults and several sizes of larvae, are out foraging. Along the driveway area, the density is high, but I found adult and larvae in an adjacent open field, 100+ feet from the driveway area. I also found adults and larvae, in lower density, along Bennett Drive as well, far from any house. We have video here that shows the larvae climbing up wooden fence posts, providing further evidence of their climbing ability. This leads me to think that Opatroides punctulatus is a nocturnal surface forager. 3. Feeding experiments. These show that Opatroides punctulatus is a nocturnal, general scavenger that prefers protein and fat, either as animal or plant. In this video, we also tested two insect baits: Maxforce Quantum ant bait, which was ignored totally, and Maxforce Complete Granular insect bait, which was readily accepted. Thanks to Dr. Rolf Aalbu, Dr. Warren Steiner, and Dr. Lynn Kimsey for providing these research papers.